Every once in a while, you come across a killer app (or service) that you cannot believe that you’ve lived without for so long. I’m sure many of you have been using Evernote for some time, and will find this review a day late and a dollar short; if so please head straight to the comments. For those who haven’t had the pleasure of experiencing what Evernote has to offer, keep reading. Evernote is designed to be a tool that will allow you to capture thoughts using a variety of different methods and then store them in a centralized way that allows you to access your thoughts from whatever device you find convenient. Through the use of the Evernote website (www.evernote.com) and staggering array of software clients that encompass everything from Windows and Macintosh computers to all of the major smartphone platforms, including Windows Mobile. Evernote allows you to capture notes as text, drawings, pictures, or file uploads. 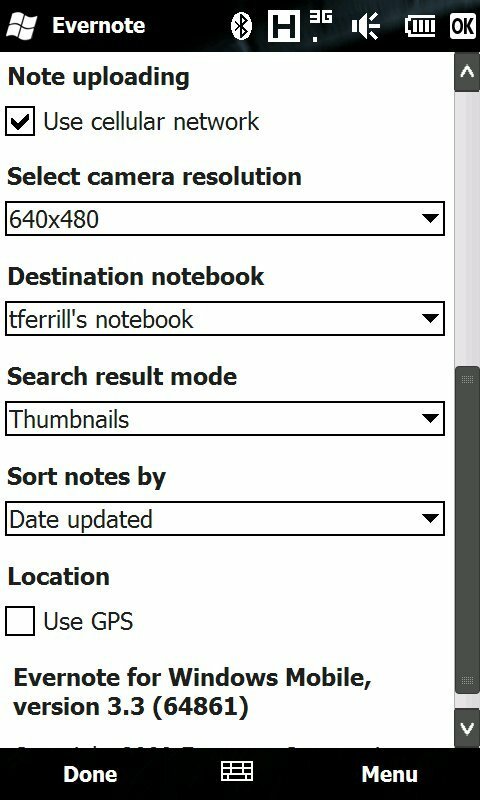 The Evernote servers also attempt OCR (Optical Character Recognition) on all of your images in an effort to allow you to search any text contained within the images. Two levels of service are available from Evernote; a free service and a premium service which costs $5 per month or $45 per year. The free service allows you 40MB worth of uploads data per month, and allows a limited amount of file types. Premium subscribers are allowed up to 500MB of uploads per month, and gain the ability to upload a number of additional file types as well as getting the ability to allow others to edit their notes. 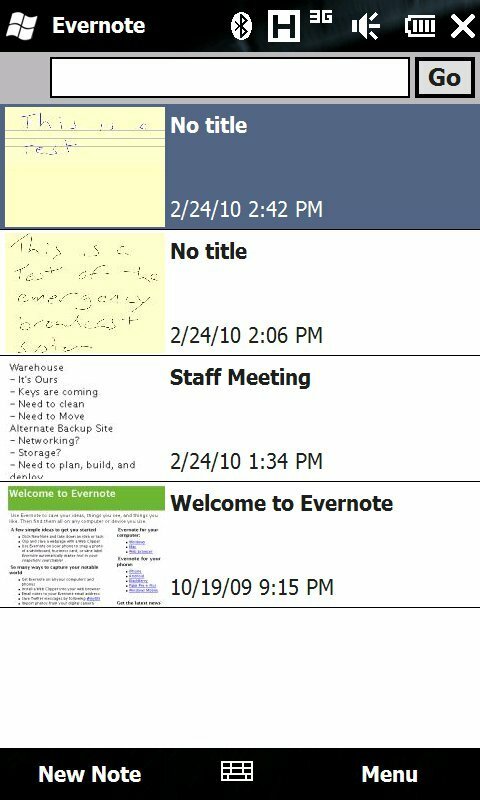 The Windows Mobile client for Evernote allows you to create and view notes from your Windows Phone. 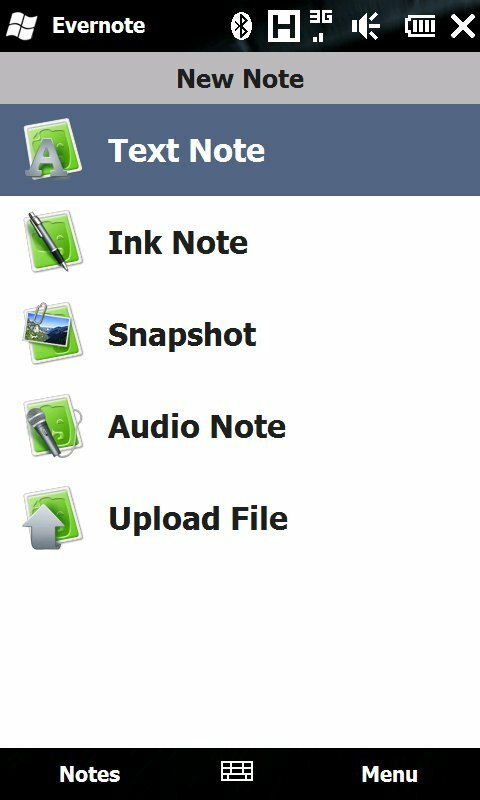 Everything from text to drawings and pictures to audio can be created within Evernote and synced to the cloud. For the most part the application is fairly Spartan; it does what it is supposed to do and little else, but the real power to this is the service. 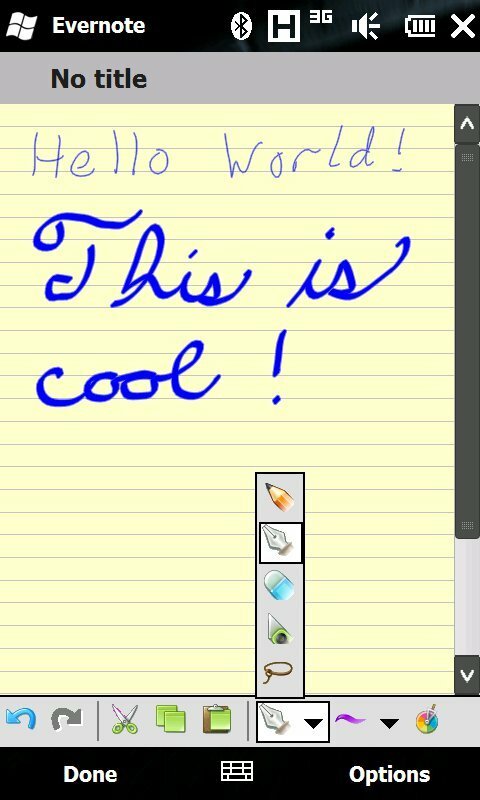 When a text or drawing (aka Ink Note) is created, Evernote automatically transfers the note to the cloud. Obviously there are some tools that handle data backup and synchronization by using cloud based servers (notably Microsoft’s MyPhone service) but Evernote does this on the fly, and even gives you access to other notes that you have created using other devices. 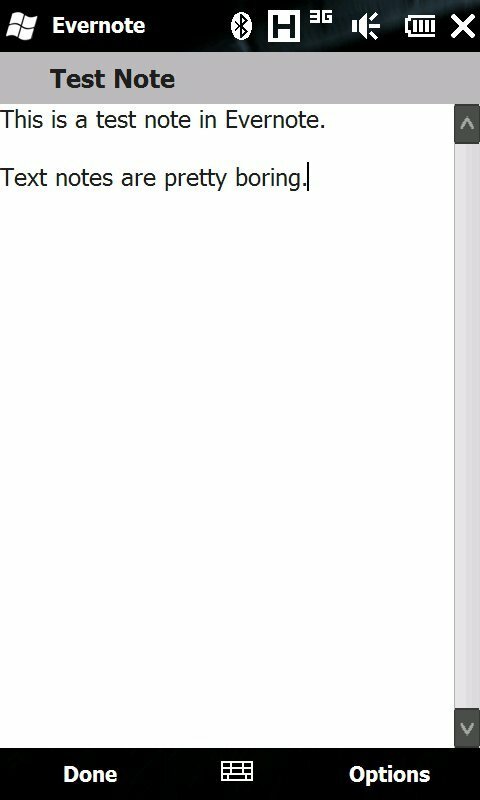 I don’t know how many of you are note takers, but Evernote is by far the best solution that I have found for handling note taking and managing those notes after the fact. The fact that this service is available for free is equally amazing. The amount of scenarios where Evernote can assist you in capturing a thought or a concept is simply amazing (if you’ve got any stories about how Evernote has helped you out, give us a comment). For a full rundown on all of the ways that Evernote can assist you in your life, head on over to the Evernote site.